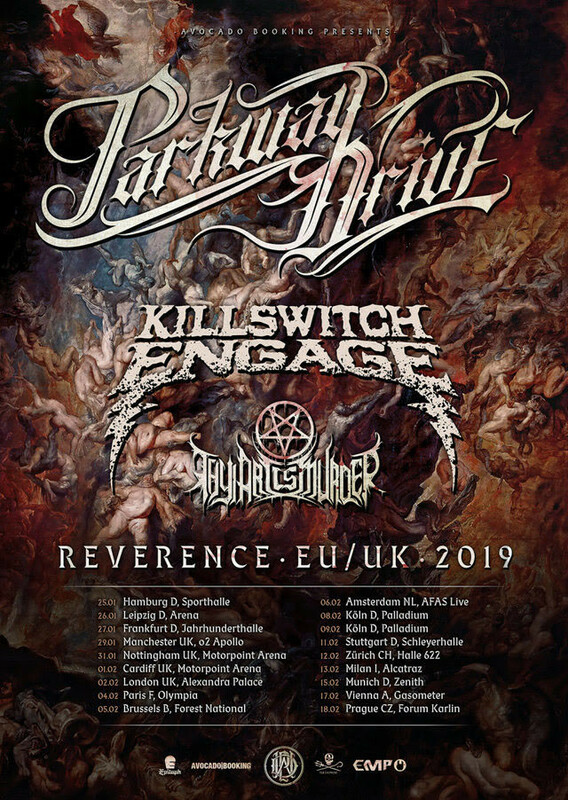 A name synonymous with brutality, Parkway Drive have worked their way up the metalcore ladder to sit at the very top over the last 15 years. We thought it only right to look back on the tracks that helped them reach such lofty heights and why they always been a cut above the rest. The place where it all started. Written with the intention of triggering tinnitus in as many ear drums as possible, the early intention of Parkway was nothing more than trying to incite as much mayhem as possible. Dirty riffs, debaucherous vocal refrains and the sort of breakdowns that stick to your ceiling like tar, the benchmark was set high from the get go. Good songs are timeless. No matter when they were penned, the best of the best stick with you for your whole life. Managing to change pace at least 3 times without even breaking a sweat, 'Romance Is Dead' is such an example of this sort of song. A staple of the band's live set ever since it was dropped, and possessing one of the most bile soaked mosh calls ever mustered, this is how you write a metalcore song. Easily one of the most recognisable, iconic and skull splitting songs in Parkway's illustrious and extensive catalogue, it doesn't get much pure than this. Meaty, belligerant and wonderfully violent, this is a band at their absolute peak. Just try and show us a more punishing, atmopsheric, gargantuan closing track for an album than the last crescendo of the band's third album. Demonstrating how desolation doesn't always have to come from straightforward heaviness, this 5 minute epic manages to transcend the metalcore troupes that the band helped to develop before delivering one of the most devestating breakdowns anyone has ever produced. A total gamechanger. 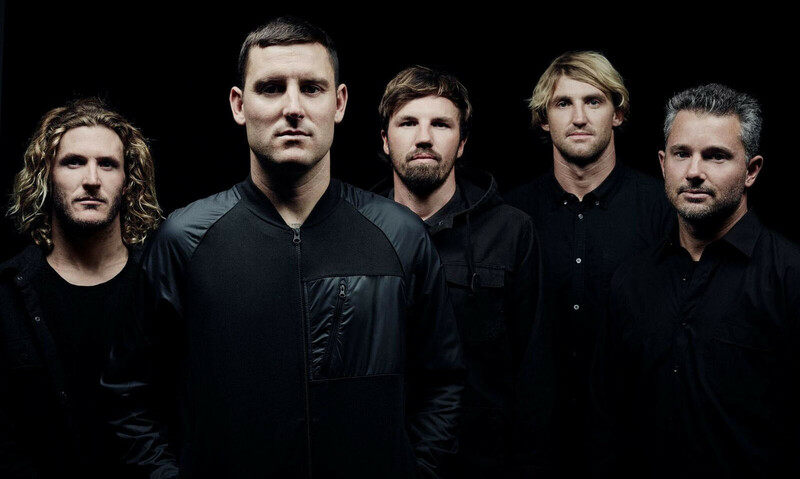 There are plenty of moments on 'Deep Blue' that could be used to define who Parkway Drive are but there's something about 'Karma' that sticks out like a thumb that has a massive chunk of coral lodged in it. Maybe it's the straight for the jugular nature of the riffing. Maybe it's how much fun the band obviously had filming the video as they show off how brilliant they are at water sports as well as playing instruments. Whatever it is, this slice of metalcore gold demonstrates the attitude of a band who know how to not take themselves too seriously in a scene that loves to do just that. Some people think it's really easy to write a sing-along moment. Sure, you can throw a woah-oh into a song and hope that people grasp onto it, but you need to make it mean something to really get a crowd screaming that refrain back at you. Parkway mastered that art on this firm fan-favourite found at the tail end of 'Deep Blue'. It was on 'Atlas' that the Parkway first really started to experiment with their sound. Though without deviating too far away from their bullish roots, the likes of 'Wild Eyes' incorporated new elements that only maximised the ferocity of the band's output. If you're going to take the world by storm, make sure that you do it wholeheartedly. Ripping up the rulebook that they helped write and jumping out of a plane in the process, Parkway caught everybody off guard when they released the first taste of their 6th record 'Ire'. Combining metalcore intensity with a hook that wouldn't sound of the place in your dad's classic rock collection, it was the sort of statement that only a band like this could make. One of the most incredible things about Parkway's transformation is how even though they were playing with a new type of fire, they still knew how to deal out the sort of riffs that could move tectonic plates. Gutteral yet slow burning, this monolithian effort showcased that change is nothing to be scared of. It should be embraced, nutured and then thrown into a moshpit. Looking at Parkway today, the amount of ground they have covered over the years is astounding. Evolving into a band that can fill arenas without even breaking a sweat while completely redefining what a heavy band can achieve, 'The Void' is a perfect measuring point. Accomodating yet unique, brutal yet boyish, the future continues to look bright and exciting for one of the most daring bands in the game.